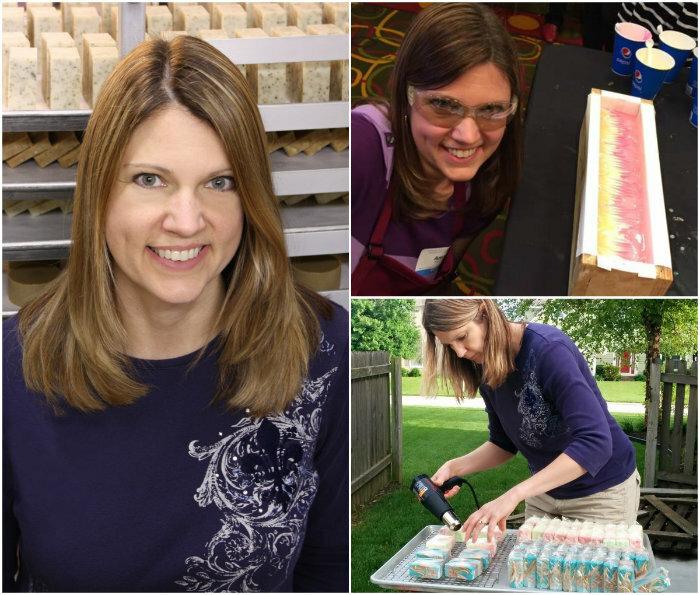 Today the wonderful Amy Warden from Great Cakes Soapworks is taking over Soap Queen to talk about overcome your soapmaking fears. Amy hosts the monthly Soap Challenge Club, and is constantly pushing herself and the soaping community to try new techniques. I have taken part in the club several times, which has resulted in a few tutorials including Misty Maritime Moon Cold Process Soap and the Leopard Spots Tutorial. 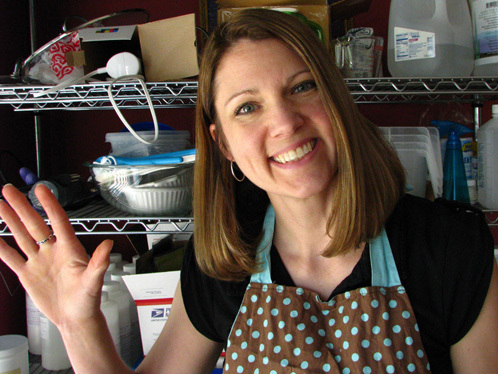 Because Amy is always conquering new techniques, she knows a thing or two about overcoming soapmaking fears! 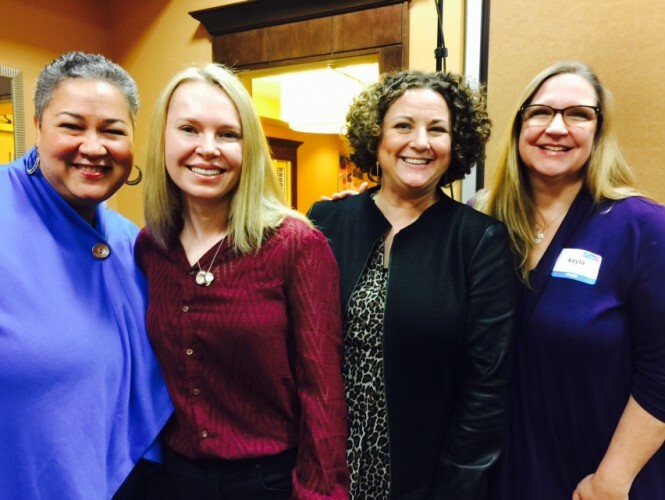 Read on to learn more about Amy’s soaping journey. 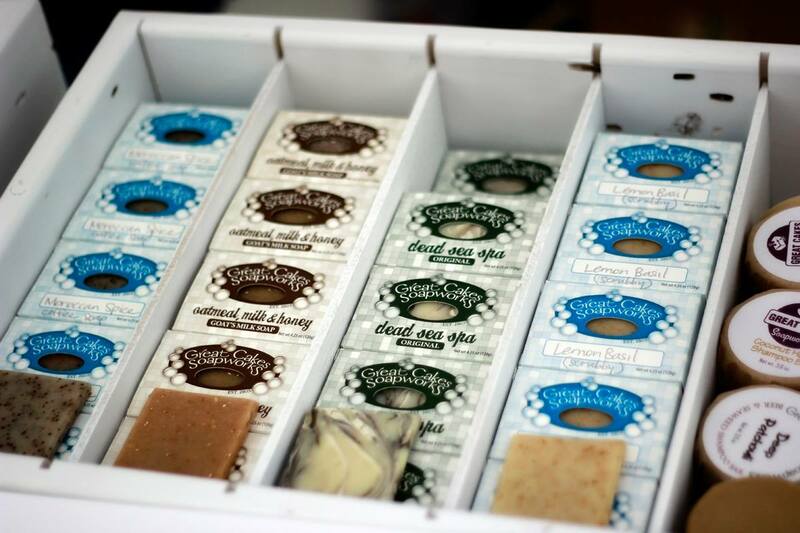 – A. M.
I remember making my first batch of cold process soap back in November 2002. I wanted to make something for my friends for Christmas that year, and after looking for ideas on the internet, I stumbled upon Kathy Miller’s website. I read everything I could about how the process worked and what to expect before jumping in. There was no YouTube, nor Facebook; soapmaking blogs had not yet begun. My only visual references were the few photos on Kathy’s site. I wondered what trace looked like in real life. I had no idea, but I figured I would know when I saw it. I went ahead and bought all the supplies I needed for my first batch of soap – except for a stick blender and a scale. I used Kathy’s recipe that calculated ingredients by volume – which included an entire 12-ounce can of lye. It was a huge recipe, and I used the full water amount and a spoon to stir it. Hey everybody! It’s Amy Warden with Great Cakes Soapworks! I’ve got a surprise for you while Anne-Marie is lying low after Baby Lily’s arrival.